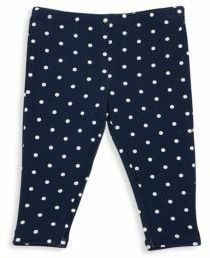 Suggest that your little fashionista reach for blue denim dress and Splendid babys dotted leggings for a cool, fashionable look. This look is complemented well with silver sandals. Choose grey wool dress and Splendid babys dotted leggings from Saks Fifth Avenue for your daughter to create a smart casual look. 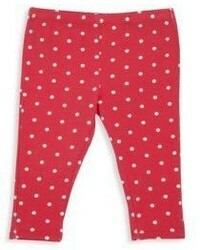 As for footwear your little one will love black ballet flats for this ensemble. 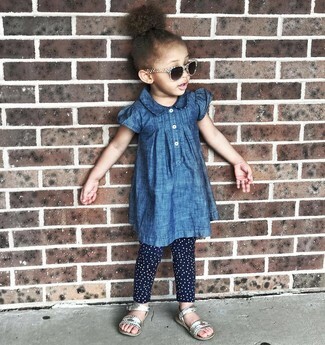 Let your little angel perfect the smart casual look in navy denim dress and Splendid babys dotted leggings. As far as footwear is concerned, let your girl throw in a pair of green sneakers.